Fat Quarter shop is running a a quilt along to celebrate the Spelling Bee Book. 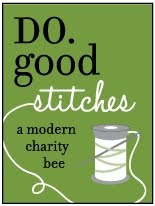 The Sew Along will feature 88 of the blocks from the Spelling Bee Book! 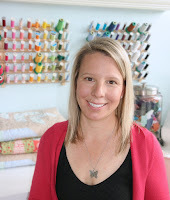 Lasting 44 weeks, the Sew Along will feature 2 blocks from the book each week. 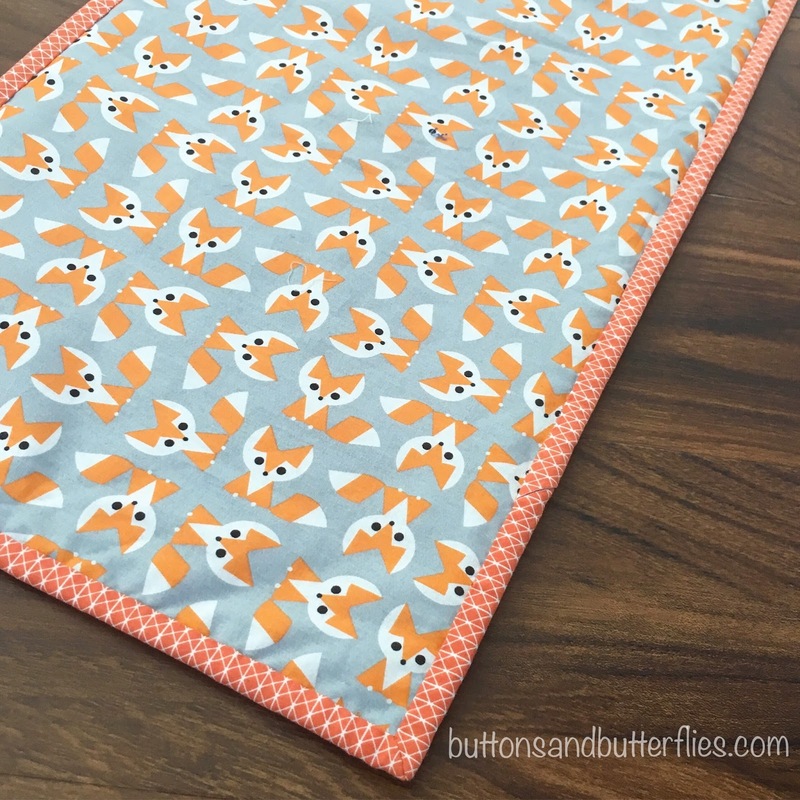 I was asked to join and and have a few exciting projects from them! 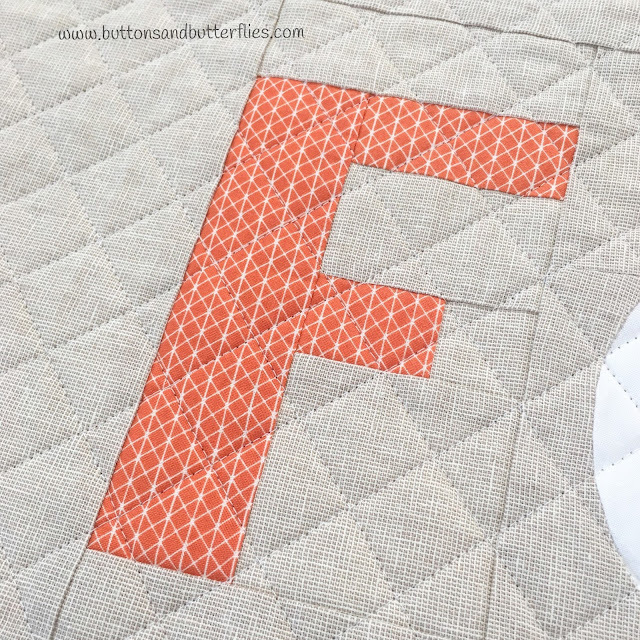 Today is the seventh week and I have the capital letter F.
I will confess, I wasn't sure what I planned to do with a lonely letter F.
Until my sweet Button walked in the studio and said "F-O-X, mom!". 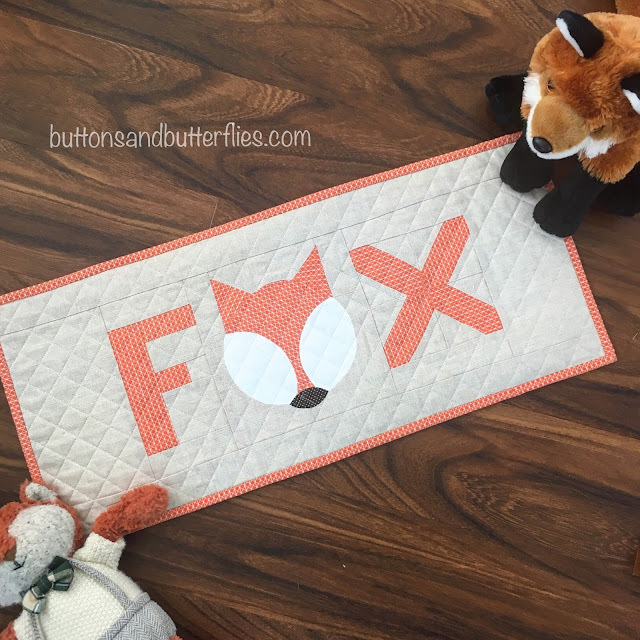 If you anyone knows us well, Button is obsessed with foxes for the past year and a half! The book has a bunch of cute options for characters like globes, butterflies, and hearts, but no foxes. So I designed an English Paper Pieced Fox head that resembled an "O". There isn't eyes as of yet, because he cannot decide what he wants at the moment. I think sleepy eyes, but he isn't sold yet. We did agree to make a giant pillow cover for his bed. 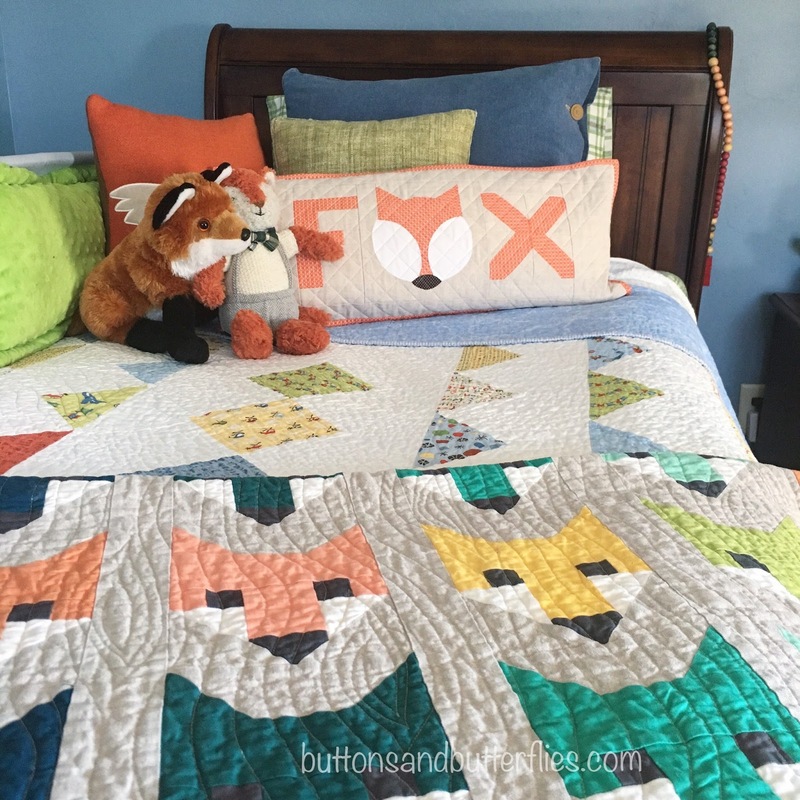 and the leftover fox print form his Fox quilt!! He really loves it on his bed, so that is all that really matters!!! 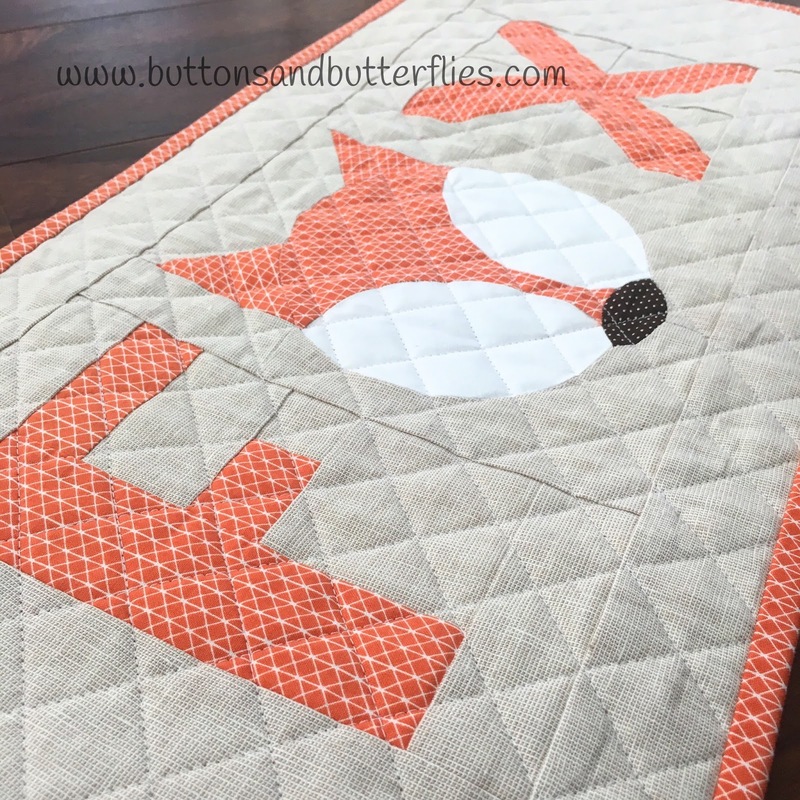 Measures: Block size 6', Pillow size 12x25"
To see another rendition of the F, visit Pam at Pam Kitty Morning! Stay tuned for more letters and picture blocks from the quilt along. I have one more this month and another next month!!! There is a list of all the weeks and the contributors at the Jolly Jabber! Love this Heidi! So cute. It was great to see you again the other night! I hope our paths cross again soon. This is so cute and such great fabric choices. 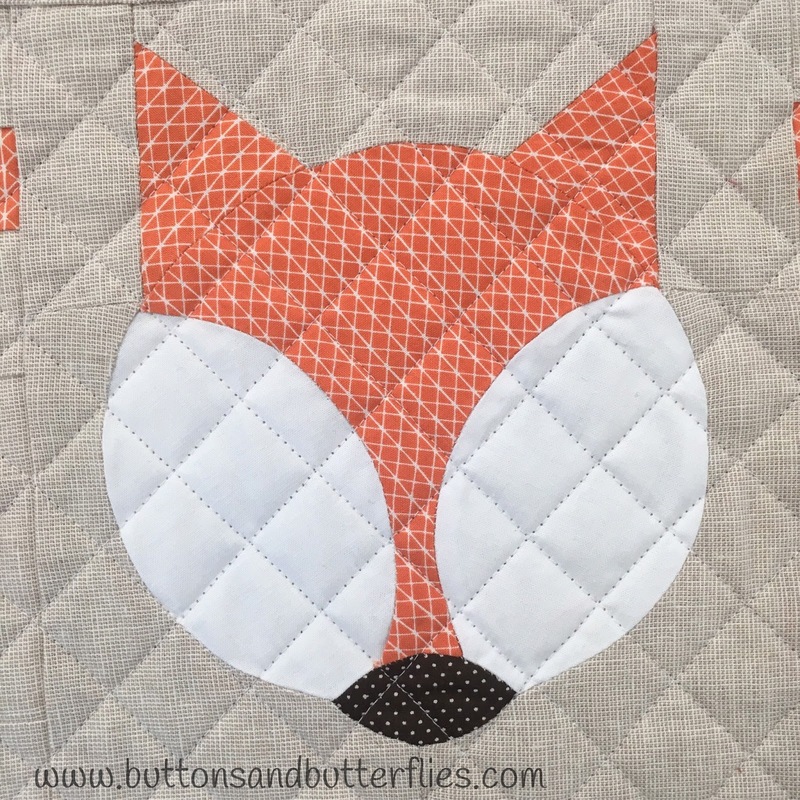 I have discovered you through the Bee in My Bonnet blog hop and yes, F makes a perfect fox!